Christmas opening times for the Office of the Traffic Commissioner and Central Licensing Office. 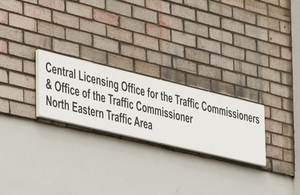 The Office of the Traffic Commissioner and Central Licensing Office will close at 4pm on Christmas eve and New Year’s eve, with the CLO public counter closing at 2pm on each of these days. The DVSA contact centre, which handles general enquiries about operator licensing, will close at 2pm on Christmas Eve and 4pm on New Years Eve. Operators should note that online services, including self service functions and operator licence search facilities, will be available over the holiday period, but operator licence discs will not be issued when the Central Licensing Office is closed. Note that the public counter closes at 2pm on Christmas Eve and New Year’s eve. Note that OTC (Scotland) will be closed on 4 January for the bank holiday.